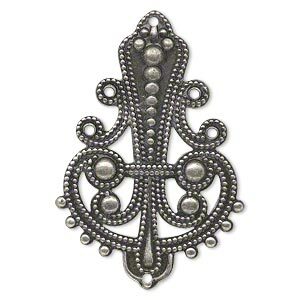 Focal, antique silver-plated steel, 42x30mm single-sided filigree diamond, 4 loops. Sold per pkg of 10. Item Number: H20-A1127FN Have a question about this item? Focal components are made of polished steel, then given an antique silver plating. 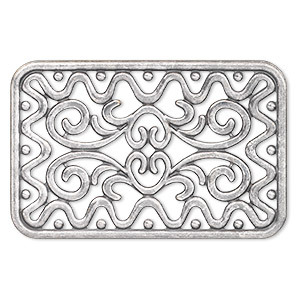 These fancy filigree focal components have a variety of holes, loops and other openings for attaching to jewelry findings. These thin components can also be bent, curved, twisted and shaped to meet a jewelry-maker's three-dimensional design needs. 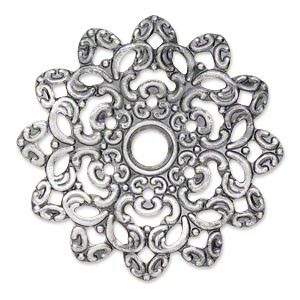 Focal, gunmetal-plated steel, 42x30mm single-sided filigree diamond, 4 loops. Sold per pkg of 10. 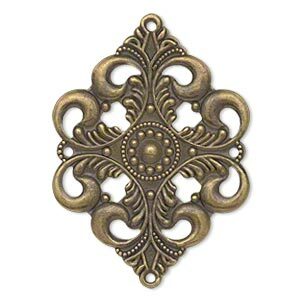 Focal, antique gold-plated steel, 42x30mm single-sided filigree diamond, 4 loops. Sold per pkg of 10. 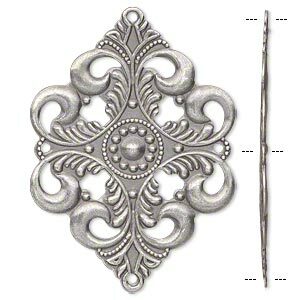 Focal, antique silver-plated steel, 40x27mm double-sided filigree teardrop, 6 loops. Sold per pkg of 10. 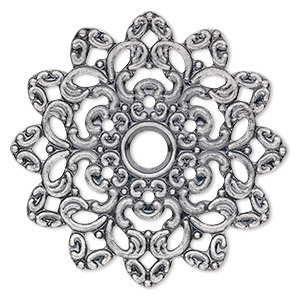 Focal, antique silver-plated steel, 42x42mm single-sided concave fancy flower with 2.5mm center hole. Sold per pkg of 6. 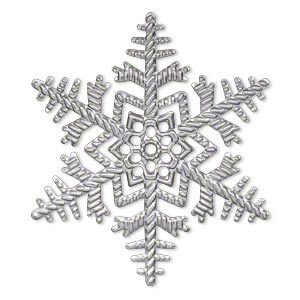 Focal, antique silver-plated steel, 50x50mm single-sided snowflake. Sold per pkg of 12. Focal, antique silver-plated steel, 59x35mm single-sided wavy flat oval with 3mm center hole. Sold per pkg of 6. 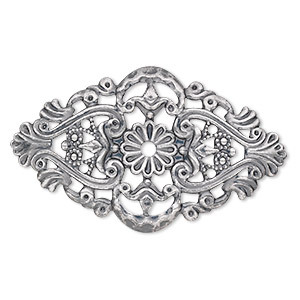 Focal, antique silver-plated steel, 47x47mm single-sided fancy flower with 6mm center hole. Sold per pkg of 6. 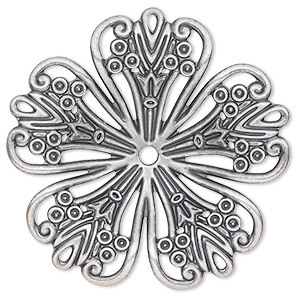 Focal, antique silver-plated steel, 46x46mm single-sided wavy flower with 6mm center hole. Sold per pkg of 6. 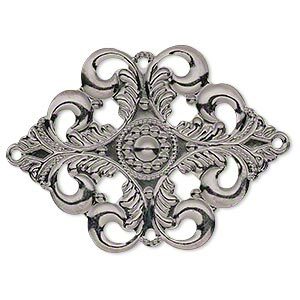 Focal, antique silver-plated steel, 49x32mm single-sided fancy rectangle. Sold per pkg of 8. 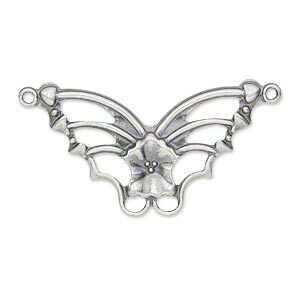 Focal, antique silver-plated steel, 33x19mm single-sided fancy butterfly. Sold per pkg of 24.